Joe Kotoch Group was founded to provide exceptional home purchasing and selling experiences to our clients. 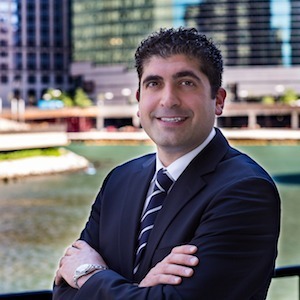 Through innovative marketing, sound analysis, unmatched market expertise, cutting-edge technology, and unparalleled customer service Joe Kotoch Group is recognized as a market leader and one of the top real estate groups in Chicago. Our team is dedicated to maximizing our clients’ experience from beginning to end. We are driven to deliver leading results through comprehensive market analyses and marketing strategies customized to individual client needs. Whether you are a native Chicagoan or a newcomer, buying or selling a house can be a stressful and uncertain process. Joe Kotoch Group offers our clients advice throughout the process saving time and money. Our team takes the time to learn about our clients’ lifestyles and understand their goals in order to find them the best properties and neighborhood fits. With a reputation for selling properties for more money in significantly less time than the industry average Joe Kotoch and his team are among the most sought after advisors in the city’s real estate market. Choose Joe Kotoch Group to get 5-star client services with brilliant results. We negotiate for you! Get more when you sell and pay less when you buy.